As instructors we are to think in the short term with lesson plans and objectives, and long term with goals and curriculum. Both are forms of skill progression – but one is focused on today, and one is focused on the whole session or year. 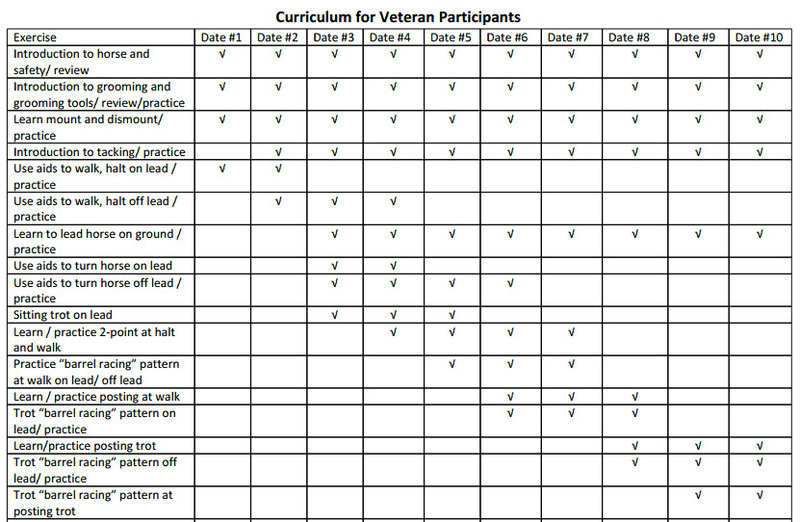 A friend sent me this curriculum that she has used for her veterans programs. 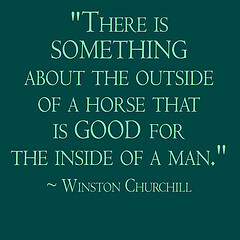 She write, “I find it very helpful to have an overall plan because so often we have to think on our feet to handle unexpected events like lame horses, a new group of participants, etc.” I have it listed below and also show a picture of the document she uses. 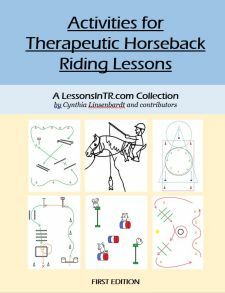 Even if you don’t have a veterans program I’m sure this list will be helpful as you think through riding skills progression with all of your riders! Thanks so much Suzy!